Admissions are available for all the Academic programmes at Vel Tech. These Academic programmes are structured around seven Schools of study with Undergraduate, Post Graduate, and Doctoral programmes. Interested candidates can pursue the programme of their choice by applying online or by visiting the Vel Tech Admission office. Vel Tech Educational Pedagogy imbibes CBCS framework in its curriculum, providing the student’s with the opportunities to choose the programmes of their passion and learn at their own pace. In this 21st century, Vel Tech believes in equipping its students to be knowledge driven. The International Industry/Organisation/University relationships of Vel Tech has enabled the admissions of students from different Countries to pursue their education in Vel Tech. The curriculum is of International standard, ensuring that all the students have the opportunity to experience a truly Global education. 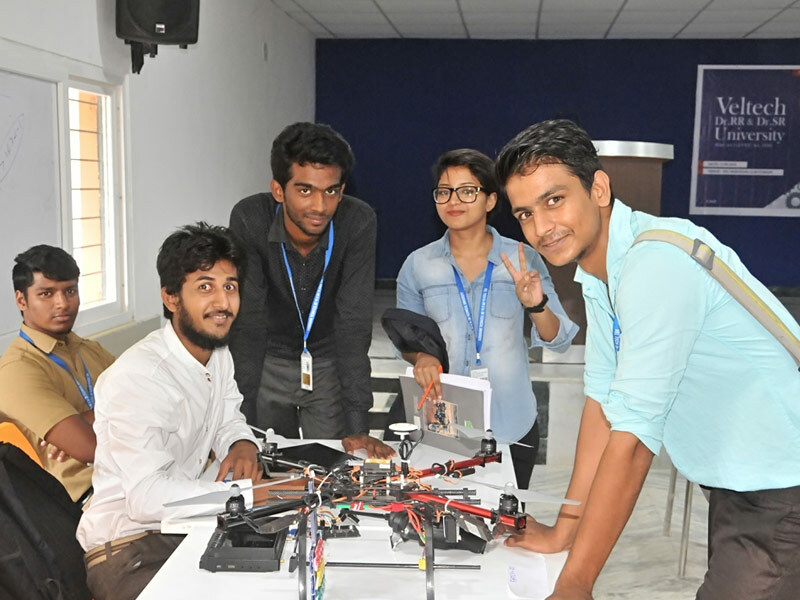 Vel Tech offers Industry collaborated programmes and Industry recommended electives, enabling students to be equipped as per Global Industry demands with proficiency in advanced Technological areas. Research at Vel Tech aims to develop innovative solutions for addressing the needs of the society. The Research efforts are enhanced through collaborative relations with the leading Research Institutions and consortia around the World. Mobile : 77999 04940, 7799904938. Uttar Pradesh.Phone : 97903 12780.